Acumen is an aircraft lease manager with a global reach, established in 2009 and headquartered in Ireland with offices in India, China and USA. Acumen’s management team has over 300 years of cumulative experience with a permanent staff of over 70 people. Acumen offers a full range of services throughout the lifecycle of the aircraft including aircraft sourcing, due diligence, project management, lease management, re-marketing, fleet audits, asset valuations, aircraft trading and powerplant management. Acumen’s customers include lessors, airlines, banks, private equity and investors. Acumen is equipped to provide single point lease management solution utilizing, to the full, Acumen’s depth of sector knowledge. To assist in its activity, Acumen has taken the initiative and successfully designed and forged a market leading and holistic eco system, SPARTA.aero. This is a cloud-based platform built to enable a seamless, connected, flexible and intuitive way of managing a vast array of data. Acumen believes that, as part of effective lease management, it is important to be equipped to both perform and assess asset appraisals/valuations. Aircraft transactions often require appraisals because each aircraft is unique and requires the analysis/valuations. The approach taken by an appraiser to ascertain value is chosen based on what is best suited for the specific assignment to provide the required value opinion and return to an investor/owner. The ability to discern the most desirable approach is another key strength in Acumen’s ability to execute to a given mandate. Acumen has a team of appraisers which includes both ISTAT and ASA certified disciplines. 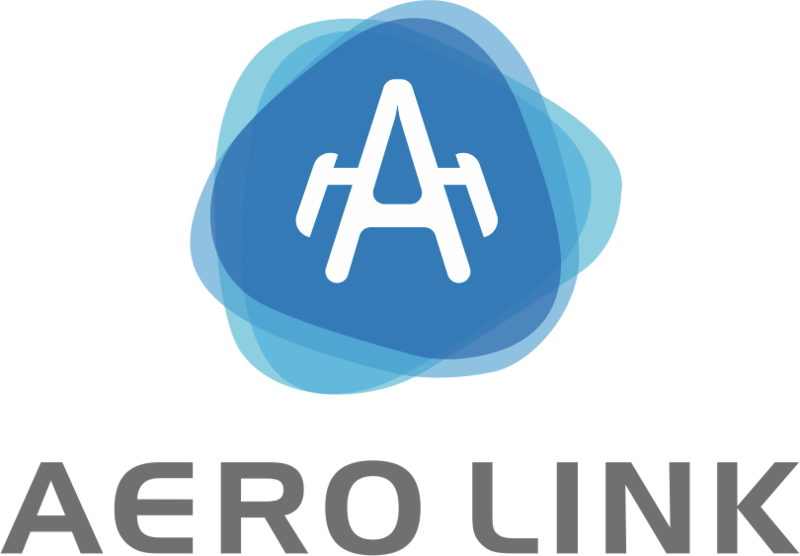 Aero Link is a Hong Kong-based Aircrew Management and Flight Operations provider to serve Airlines, Leasing Companies and Private Jet Operators for New Flight Delivery, End of Lease Ferry and Short and Long Term Crew support. Air Lease Corporation is a leading aircraft leasing company principally engaged in purchasing commercial aircraft and leasing them to its valued airline customers worldwide. Founded in early 2016, headquartered in Hong Kong and have offices in Shenzhen, Beijing, Tianjin, Malaysia, Ireland and Netherland. APAL are led by a team of highly experienced professional from the aviation and finance industry. APAL provides a global network of airline customers with comprehensive fleet solution, particularly China and Asia. Astro is a Hong Kong-based advisory and consultancy firm that focuses on aircraft financing, trading and leasing businesses for airlines, financial institutions and investors. Aviation Capital Group (ACG) is a privately held, indirect majority-owned subsidiary of Pacific Life Insurance Company. With over 465 owned, managed and committed commercial jet aircraft leased to approximately 95 airlines in approximately 45 countries, ACG is a proven Fleet Strategy Solutions provider to the world's airlines. Our full-service operating lease platform, forged over 29 years of industry leadership, is core to our ability to offer these solutions. Additionally, our global market expertise combined with our strong manufacturer and global financial institution relationships enable us to provide advisory services and customized financial products. Our operating lease platform also drives our Asset Management services, which include managed aircraft portfolios and other products for investors. Our consistent profitability throughout the company’s history, combined with our strong airline and manufacturer relationships, make us a unique long-term player in the aircraft leasing business. Avolon is a leading, global aircraft leasing firm providing leasing and lease management services to airlines and aircraft investors worldwide. Avolon is led by an experienced and respected team with a proven track record in our industry – through a number of industry cycles. Our objective has been – and remains – to build the leading aircraft leasing platform in the industry providing superior service to customers. Our growth and global platform is underpinned by a clear set of corporate values, which are the basis for how we run our business. Founded in 1908, BoCom (Stock codes: A shares 601328, H shares 03328) is one of the note-issuing banks with the longest history in modern China. BoCom reopened after reorganization on 1 April 1987. It is the first nationwide state-owned joint-stock commercial bank in China, with Head Office located in Shanghai. The Bank was listed on the Hong Kong Stock Exchange in June 2005 and on the Shanghai Stock Exchange in May 2007. BoCom has set up 21 overseas banking branches, subsidiaries and representative office in 16 countries and regions, including branches in Hong Kong, New York, Tokyo, Singapore, Seoul, Frankfurt, Macau, Ho Chi Minh City, San Francisco, Sydney, Taipei, London, Luxembourg, Brisbane, Paris and Rome, subsidiaries in Hong Kong, UK, Luxembourg and Banco BoCom BBM S.A., and representative office in Toronto, and established 65 overseas banking outlets in total (excluding the representative office). Berwin Leighton Paisner (BLP) was an international law firm with 14 offices across 10 countries globally. Our Hong Kong office is an integral part of our clients’ inbound and outbound investment strategies across aviation, shipping, infrastructure, real estate, energy and natural resources. Here in Asia, real estate, infrastructure, transport and energy deals are at the heart of what we do. Whether you are buying, selling, investing or developing a major capital asset, we provide a full service offering across the entire life cycle. For over 20 years, team members have advised on many of Hong Kong’s most high profile domestic construction projects. Working closely with Beijing and drawing on over 300 top real estate lawyers globally, we offer Chinese investors unparalleled insights considering high-value acquisitions or developments internationally. CDB Aviation is a wholly owned Irish subsidiary of China Development Bank Financial Leasing Co., Limited (“CDB Leasing”) a 35-year-old Chinese leasing company that is backed mainly by the China Development Bank. China Development Bank is under the direct jurisdiction of the State Council of China and is the world’s largest development finance institution. It is also the largest Chinese bank for foreign investment and financing cooperation, long-term lending and bond issuance, enjoying Chinese sovereign credit rating. CDB Leasing is the only leasing arm of the China Development Bank and a leading company in China’s leasing industry that has been engaged in aircraft, infrastructure, ship, commercial vehicle and construction machinery leasing and enjoys a Chinese sovereign credit rating. It took an important step in July 2016 to globalize and marketize its business – listing on the Hong Kong Stock Exchange (HKEX STOCK CODE: 1606). Century City International Holdings Limited is a Hong Kong-based investment holding company principally engaged in property and financial businesses. The Company has six segments. Property Development and Investment develops and sells properties, leases properties and provides estate agency services. Construction and Building Related is engaged in construction works and building-related businesses, including the provision of property development consultancy and project management services, property management and the development and distribution of security systems and products and other software. Hotel Operation and Management and Hotel Ownership operates hotels and provides hotel management services, and owns hotel properties for rental income through Regal Real Estate Investment Trust (REIT). Asset Management provides asset management services. Financial Assets Investments trades and invests in financial assets. Aircraft Ownership and Leasing is engaged in aircraft leasing. China Aircraft Leasing Group Holdings Limited ("CALC") is a full aircraft value-chain solutions provider for the global aviation industry. The Group and its member companies offer services at every stage of an aircraft life cycle, from new aircraft, used aircraft, to aircraft coming to the end of their life, capturing the asset value of an aircraft fleet by proactive asset management. The Group’s scope of business includes regular operations such as aircraft leasing, purchase and leaseback, and structured financing, as well as value-added services such as fleet planning, fleet replacement packaged deals, aircraft disassembling and recycling, as well as component sales. Established in 2006 and headquartered in Hong Kong, CALC is China’s first aircraft operating lessor. It is currently the largest independent lessor in China and one of the top 10 global aircraft lessors, based on the combined asset value of its fleet and order book, according to renowned aviation consulting firm ICF International. Listed in Hong Kong as the first aircraft leasing company in Asia under stock code 01848.HK in July 2014, CALC is currently a constituent stock of the Hang Seng Global Composite Index, the Hang Seng Composite Index, MSCI China Small Cap index, and an eligible stock under southbound trading of Shenzhen-Hong Kong Stock Connect. China National Aviation Leasing Limited (CNAL) was founded in Hong Kong in 2014 as a wholly-funded subsidiary of China National Aviation Corporation Limited (CNAC) group. With comprehensive advantages and in line with the leasing strategic of its parent company, CNAL’s business nature are aircraft leasing and ground service equipment leasing. For aircraft leasing, CNAC Beijing Financial Leasing Company Limited, one of the subsidiaries of CNAC, had cooperation with several airlines including Air China and Shenzhen Airline, laying a solid foundation for aircraft leasing projects in the future. For aviation ground service equipment, CNAL plays a leading role in providing ground equipment to Mainland China, Hong Kong and Macao, such as cargo loader, passenger steps, aircraft tractors etc., to fulfill CNAC’s aviation leasing development strategy. CK Asset Holdings Limited (“the Group”) is a leading multinational corporation committed to achieving long-term sustainable growth through continual strengthening of its existing property businesses, and steady enhancement of its recurring income base via prudent investment strategy. The Group has diverse capabilities with activities encompassing property development and investment, hotel and serviced suite operation, property and project management, investment in infrastructure and utility assets that are household equipment services related, and aircraft leasing. The Group's aircraft leasing investments are held through wholly-owned Accipiter Holdings Designated Activity Company and Vermillion Aviation Holdings Limited, a joint venture with MC Aviation Partners Inc. and the Li Ka Shing Overseas Foundation. With a disciplined investment approach and an experienced local team, the Group aims to invest primarily in young and liquid Airbus and Boeing aircraft to generate steady income streams on a medium to long term basis. CMB Financial Leasing Co., Ltd.
CMB Financial Leasing Co., Ltd. (abbreviated to the “CMBFL”), approved by the State Council, is one of the first batch of five financial leasing companies affiliated with banks in China. With the approval from China Banking Regulatory Commission, CMBFL was founded in March, 2008. CMBFL is a wholly-owned subsidiary of China Merchants Bank (abbreviated to the “CMB”) with the registered capital of RMB 6 billion. Since the establishment of CMBFL, it has been actively researching and developing all kinds of financial leasing products in accordance with the need of the physical economy. CMBFL launched financial solutions for clients from various fields of industry including energy, equipment manufacturing, aviation, shipping, energy saving and environmental protection, health industry, public utility and culture industry, financial leasing companies. The clients of CMBFL come from a variety of large, medium and small companies. Fontainburg, founded in 1997, is a leading Greater China focused boutique investment bank, owned and managed by an experienced team of professionals with in-depth knowledge and expertise in both international and China markets. Fontainburg's team has had extensive experience in the field aviation financing and leasing, performing advisory services for both commercial airlines and commercial aircraft lessors. Coupled with our strong knowledge of the Chinese regulatory and tax systems, we have made clear plans for expansion in the near future for this sector. GECAS, the U.S. and Irish commercial aircraft financing and leasing business of GE, is a world leader in aviation leasing and financing. With 50 years of aviation finance experience, GECAS is recognized as the pre-eminent commercial airline and helicopter leasing company in the world offers a wide range of aircraft types including narrow - bodies, wide - bodies, regional jets,turboprops, freighters and helicopters. GECAS owns or services a fleet of nearly 2,000 aircraft (1,685 fixed wing/ 310 rotary wing) in operation or on order, plus provides loans collateralized on an additional ~400 aircraft. GECAS provides an industry - leading suite of products and services to help our customers expand their operations, and stay equipped with the latest in commercial aviation technology. Our financing products and services include operating leases, purchase/leasebacks, secured debt financing, capital markets, engine leasing, and airframe parts management. And GECAS can be found in every corner of the globe, staffed with the industry's most experienced team of aviation marketing, legal, risk and technical personnel. We work with more than 250 customers – from flagship airlines to startups, and from regional airlines to low - cost carriers. GECAS, a unit of GE Capital, has a network of 26 offices around the world, and services customers across 79 countries. Specialists in aircraft leasing, Goshawk is led by an experienced team of aviation experts. To date, we have acquired a young portfolio of aircraft, valued at over US$9.1bn. We offer new or nearly new commercial jet aircraft for lease to leading global airline operators. With the solid backing and support of strong institutional shareholders, the Goshawk success story has truly taken flight. Founded in 1988, Haitong Securities Co., Ltd. is the only large-sized securities company among the oldest securities companies in China that has not been renamed and has not received a capital injection. The Company provides securities and futures brokerage, investment banking, asset management, private equity, alternative investments and financial leasing services. Haitong Securities was listed on the Shanghai Stock Exchange in 2007 and on the Stock Exchange of Hong Kong Limited in 2012. Haitong Securities has total assets of over RMB 500 billion and net assets of nearly RMB 110 billion, ranking among the top in China’s securities industry since 2007, both in terms of total assets and net assets. The Company owns a comprehensive business platform, a mature overseas business platform, a number of business outlets across 14 countries and regions, nearly 340 securities and futures business outlets in China and has over 11 million clients within and outside China. The Company has acquired and consolidated Haitong International Securities and Haitong Bank. It has also established a branch in the free trade zone in China, which has enabled the Company to establish a platform for its international business and which is regarded as one of the best players in the industry. It has allowed the Company to gain first-mover advantages in the Asia-Pacific region and access to strategic pipeline projects in Europe and the United States. Han Kun is a leading full-service law firm in China. Over the years, Han Kun has been widely recognized as a leader in complex cross-border and domestic transactions. 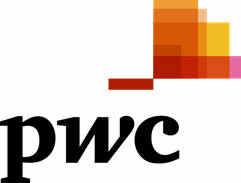 Their main practice areas include private equity, mergers and acquisitions, international and domestic capital markets, investment funds, assets management, competition law, banking and finance, aviation finance, foreign direct investment, compliance, private client wealth management, intellectual property and dispute resolution. They have over 300 professionals located in four offices in Beijing, Shanghai, Shenzhen and Hong Kong. We provide lending solutions across the capital stack as well as taking residual value positions in aircraft and providing recourse/non-recourse options to airlines and lessors. Our operating lease solutions to airlines meet fleet financing needs, including vanilla operating leases as well as highly structured solutions. Whether it’s an A380 operating lease delivery financing, a regional aircraft portfolio facility or a mezzanine opportunity, we can tailor bespoke solutions to your needs. Our flexible, fast-moving and solution-driven team delivers Out of the Ordinary service. As a leading aircraft specialist fund manager, our aircraft debt and equity funds under management provide institutional partners with access to aircraft as an asset class, across both aviation debt and aircraft leasing. We can tailor products to meet investors’ risk/return preferences. In 1992, KPMG became the first international accounting network to be granted a joint venture licence in mainland China. KPMG China was also the first among the Big Four in mainland China to convert from a joint venture to a special general partnership, as of 1 st August 2012. Additionally, the Hong Kong office can trace its origins to 1945. This early commitment to the China market, together with an unwavering focus on quality, has been the foundation for accumulated industry experience and is reflected in the Chinese member firm’s appointment by some of China’s most prestigious companies. Novus Aviation Capital is an independent platform with a successful reputation in the trading, leasing, financing, management and re-marketing of commercial jet aircraft. Operating globally out of five offices in Europe, Asia and the Middle East, we have formed relationships with over 40 airlines in over 30 countries. Novus currently co-owns and manages aircraft-related assets with an average value of nearly US$3 billion. We offer the full spectrum of dedicated aviation expertise to support our transactions, including the resolution of distressed situations, should they arise, with timeliness and professionalism. Our ability to evolve and adapt to changing market dynamics has demonstrated our resilience and commitment to the industry, whilst our financial independence allows for more flexibility, bespoke services and speedier turnaround. Recognizing that our global presence and continued success is dependent on the excellent client relations that have been established with investors, lenders, airlines and other stakeholders over the years, Novus’ core ethos is enhanced by cementing our client relationships. As one of the leading infrastructure players in Mainland China, NWS Holdings possesses an extensive business network in managing and operating 94 projects in the four segments of Roads, Environment, Logistics and Aviation. The Group is the second largest investor in the Beijing Capital International Airport. The Group's Goshawk Aviation Limited and Bauhinia Aviation Capital Limited invest in commercial aircraft for leasing to worldwide airline operators. ORIX Aviation is a world leading Aviation investor and aircraft asset manager based in Dublin (Ireland), Hong Kong and Tokyo. We are focused primarily on aircraft trading opportunities in the aircraft leasing and aircraft asset management space while maintaining a very strong balance sheet and funding to support future growth. Our ability to quickly and efficiently execute and deliver value added transactions is our key strength. To do this we use our unique platform, market knowledge, relationships and highly competitive own funding. Power Aviation is a boutique aircraft trading and advisory company founded in 1993. The company provides specialised aircraft trading and brokering services to airlines, investors and financial institutions worldwide. The company primarily specialises in remarketing (selling and leasing) and sourcing new & used aircraft for its customers but also provides aviation consulting services to regional airlines globally. With offices in 158 countries and more than 236,000 people, we are among the leading professional services networks in the world. We help organisations and individuals create the value they’re looking for, by delivering quality in assurance, tax and advisory services. Sato Aviation Capital (“SAC”), 100% owned by Yoji Sato, a founder and a Board Member, Senior Corporate Advisor of HK listed DYNAM JAPAN HOLDINGS Co., Ltd. (“DYJH” HK 6889), is a Hong Kong based holding company which owns c.34% of DYJH. SAC entered aircraft leasing business in 2015 backed by its capital worth over USD460M plus robust cash generated by dividends from DYJH p SAC, through its 100% owned aircraft leasing company in Ireland, Sato Aviation Ireland Limited (“SAIL”), is planning to build up a portfolio of over 10 commercial aircraft. SAC started its investment in 2015, and to date, successfully closed acquisition of 1 x B737-800 in 2016 and 2 x A320 in 2017. We are a leading global aircraft leasing company. Our principal activity is leasing and trading aircraft, with a clear focus on young commercial jet aircraft of the types most popular with our customers. Every minute, an aircraft managed by SMBC Aviation Capital takes off or lands somewhere in the world. With the strength of our shareholders, we give our airline and investor customers access to an exceptionally broad range of financial solutions. We also provide investment and aircraft management services. We are owned and supported by a consortium of leading Japanese institutions Sumitomo Mitsui Banking Corporation (SMBC), Sumitomo Mitsui Finance and Leasing Company Limited (SMFL) and Sumitomo Corporation. Over 160 professionals work at our headquarters in Dublin, Ireland, and at locations in China, France, Hong Kong, Japan, the Netherlands, Singapore and the United States. The history of Standard Chartered in Hong Kong dates as far back as 1859, and is one of the Hong Kong SAR's three note-issuing banks today. Having incorporated its local business on 1 July 2004, we now operate as a licensed bank under the name of Standard Chartered Bank (Hong Kong) Limited, a wholly-owned subsidiary of Standard Chartered PLC. Standard Chartered is a leading international banking group. It has operated for over 150 years in some of the world's most dynamic markets. Our purpose is to drive commerce and prosperity through our unique diversity, and our heritage and values are expressed in our brand promise, Here for good. AERO, based in Hong Kong has an established record of providing specialist advisory and consultancy aviation services to financial institutions/investors/banks, airlines and lessors. AERO has 40 years experience of proven aircraft and commercial jet engine transactions on behalf of our aviation clients. The Commercial Engine markets are our forte and we have successfully assisted existing and new entrants to become established in the engine market particularly where in areas where they lack own in-house experience or would not normally consider. We assist from initial planning through lease term to end of lease options-solutions to ensure optimizing the correct risk-reward targets are achieved. TMF Group is the global expert in local business. 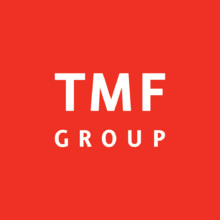 With a network of offices across over 83 countries, TMF Group has the in-country expertise and knowledge to help businesses (of all sizes) expand and operate both within and beyond their home markets. Copyright © 2018 Hong Kong Aircraft Leasing and Aviation Finance Association. Web Designed by Black Media Group.